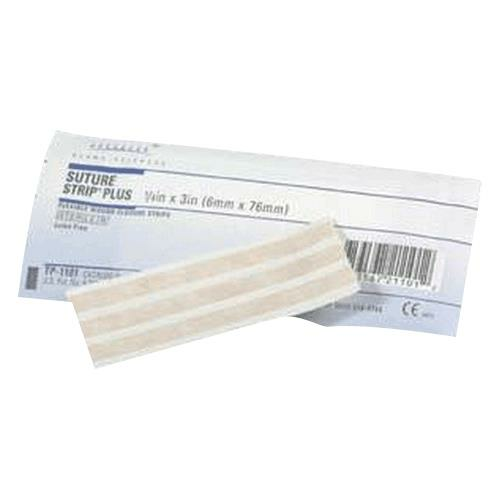 Derma Suture Strip Plus Flexible Wound Closure Strips with maximum dynamic adherence provide superior wound security. The inherent elasticity allows the strips to elongate and yield to the movement of skin, preventing the concentration of forces at the proximal ends and reducing the chances of traction blisters or skin shear. 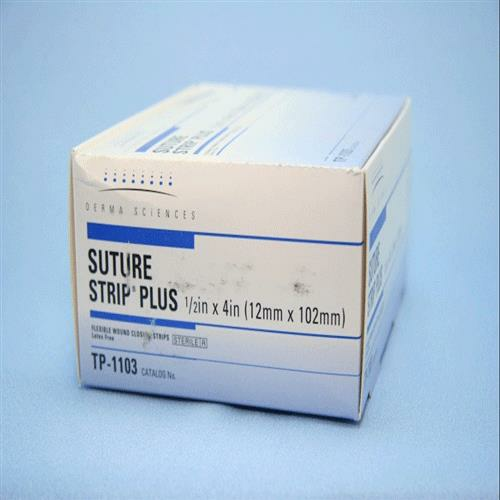 Ideal for primary wound closure of surface tissue as well as traumatic wound closure such as skin tears.